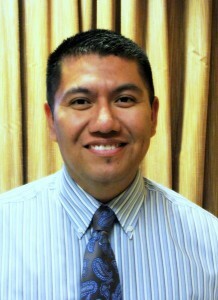 Dr. Javier F. Boyas is an associate professor in the Social Work Department at the School of Applied Sciences. His research focuses on social determinants of health among populations of color. He is interested in examining how various psychosocial and environmental factors impact health and well-being among African Americans, Asian Americans, and Latinas/os. In this interview, Dr.Boyas talks technology’s influence on social work and human service. First of all, what is gamification? Gamification is when you apply game principles and practices to various existing processes and services. The idea is basically using game design techniques, game thinking, and game mechanics to non-game contexts in order to engage and motivate people. For example, employing game techniques to create a more exciting social experience by adding point systems, levels, challenges, and rewards. In doing so, we are using gamification to try and make the experience more enjoyable and interactive. In our case, we are using gamification to develop a substance abuse and relationship violence prevention game. You, alongside several other researchers, published the article “Gamification for Behavior Change: Lessons from Developing a Social, Multiuser, Web-Tablet Based Prevention Game for Youths” in the Journal of Technology in Human Services. What exactly is this article about? And what did you and your team learn from the research? After developing the game, we held six focus groups with youth who played the game to gain their perspective and opinions on C&C. Our results suggest a few things. First, the youth reported that they prefer receiving health information from various media formats over traditional face-to-face and didactic delivery methods. Youth stated that they liked the interactive aspect of C&C, and the fact that the game required them to pay attention rather than “zone out” or sleep which can be common with videos, workbooks, and speakers. Second, we also learned that as a learning tool, C&C’s combination of on-screen text, images, and follow-up debriefing appears to have helped youth learn how to handle situations that involve substance abuse and relationship violence. Some youth stated that the group decision making process during C&C provided them with an opportunity to discuss real-life situations they may encounter and receive other opinions on how best to handle those situations. Taken together, our findings are promising. The youth reported positive feedback suggesting that integrating mobile devices, gaming, and social networking can be a successful strategy in terms of substance abuse and relationship violence prevention. I have always been an avid enthusiast of technology. I’m always amazed by how much we have benefited from finding ways technology can advance our society. Technology has helped us become more efficient, more flexible, and much more global. It has created a virtual connectedness that we would not otherwise have. Because of my passion for technology, I just had to figure out a way to incorporate it into my research. With the advent of both immersive multimedia and touch screen functionality, video games are changing from day to day. In the future, how could gamification influence the field of human services? I do believe gamification will influence the field of human services in the near future. Human services have been slower to adopt gamification strategies and techniques for reasons such as cost, the lack of available expertise, and the difficulty of developing evidence on the effectiveness of gamification strategies and products. However, according to a Gartner Gamification Report (2011), by 2015, more than 50% of organizations that manage innovation processes will gamify those processes. I have another project I am initiating where I am gamifying the new employee training of child welfare workers. The application itself would consist of proactive virtual modules where a trainee would be able to simulate the experience of various scenarios that take place in the field. 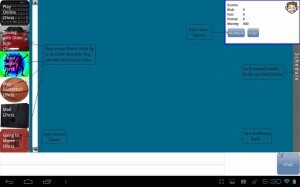 This digital application would allow the worker to virtually go to a visit and make a number of determinations related to risk. Ultimately, these virtual scenarios are hands-on, which would help a child welfare worker contemplate the positive and negative aspects of their decision making abilities. We’ve got to ask—what’s your favorite video game? And why? I don’t have a favorite game. However, I enjoy playing games with my 9 year-old son. I’ll play whatever he wants. Being able to share this interest with him has been quite the joy!